Sea, Sand & Sky: Numero Uno Blog Post Of The Year! Numero Uno Blog Post Of The Year! Hey everyone! It's Thi Tran again, on my fifth summer here at Save The Harbor/Save The Bay. Time really does fly by when you're having fun. As an uprising sophomore at the University of Massachusetts, Amherst, I'm so excited to be back by our beloved Boston Harbor instead of being surrounded by cows, fields, and farms up in western Mass. I went right to the beach to play some volleyball as soon as I settled back into my abode by the ocean. 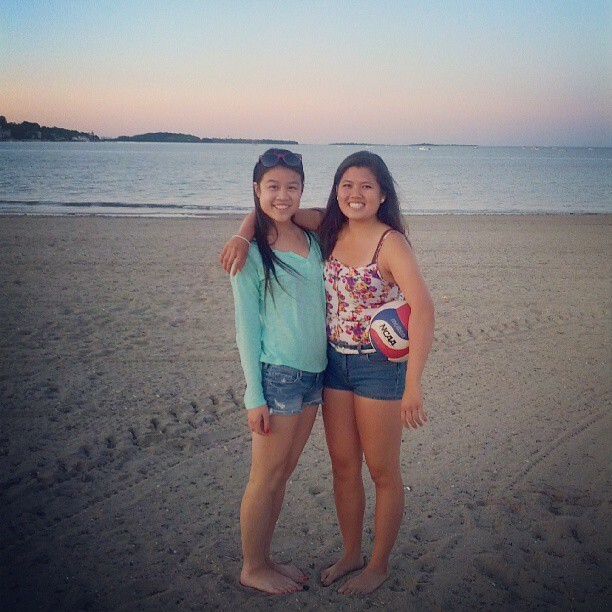 Back on Wollaston Beach in Quincy as soon as my summer started! Already this past week, I have been able to swing by most of our sites around the Harbor and even filleted a part of a fluke! (If you don't know the difference between a flounder or a fluke, just ask Sarah Bailey). 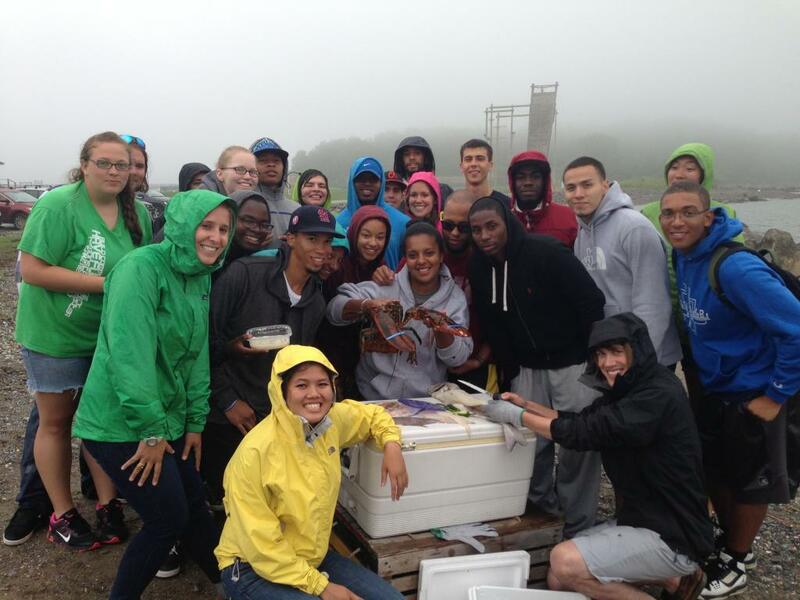 The Senior Marine Educators and the rest of the senior staff, including me, battled through the rain and downpours to get all of our training in from Quincy to Charlestown to East Boston to prepare ourselves for a great summer! I am so excited to be back to re-explore the Harbor Islands and do something everyday that I haven't done before. 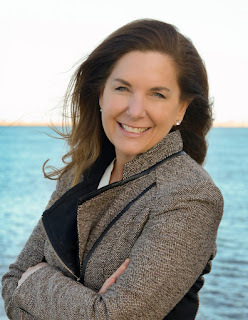 I'll be mostly on the All Access trips, so you'll most likely find me searching my way out of Fort Warren on George's Island or picking up spectacular treasures (such as pieces of pottery, beach glass, little heads and limbs of ceramic dolls) that can teach us all about the history of our harbor. Hope to see you all soon and I can't wait for this summer to officially start! P.S. 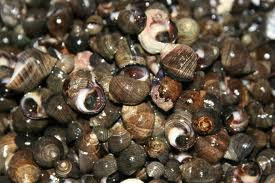 look out for my next blog post on a great recipe for those pesky periwinkles!!! And if you don't know what they look like, here you go!